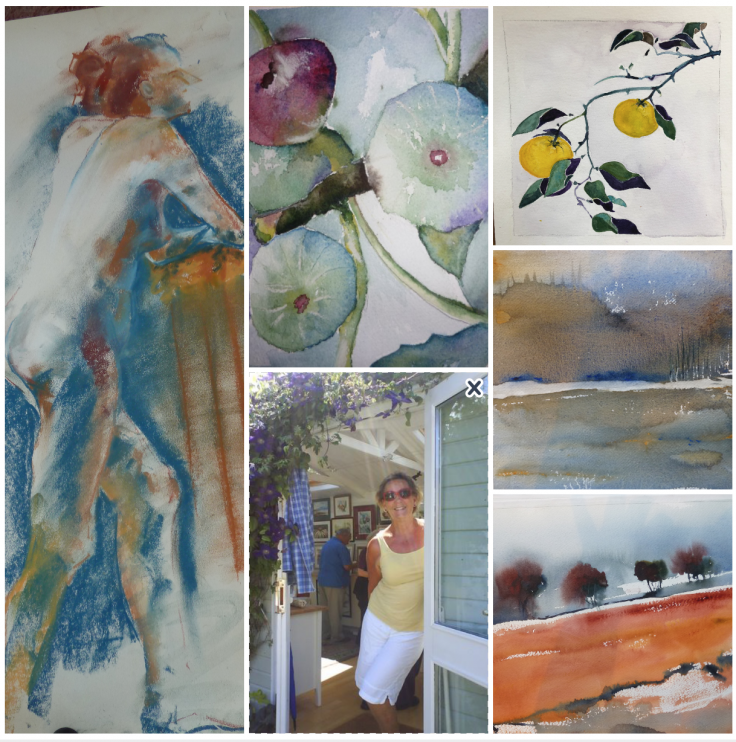 My work includes a variety of subjects, life drawing and movement using ink/wash, pastel, charcoal, as well as abstracts, landscapes, still life, mostly using watercolour. Cards available. Commissions accepted. I am Swedish, but have lived in the UK for many years, mainly on the Isle of Wight, and currently in Cowes overlooking the sea. I have no formal art education, but have always had a keen interest in drawing/painting. I even found my life drawings dated 1959/60 recently!! I still do life drawing, and had always thought of myself as a drawer rather than a painter! 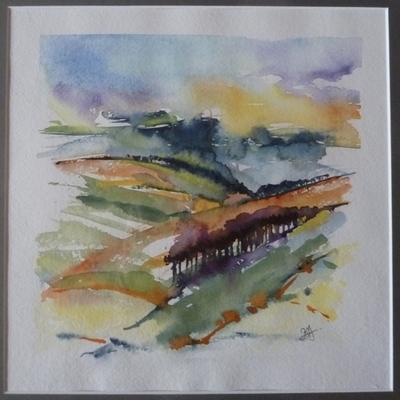 Charcoal, pencil, colour pencils, ink and wash and sometimes pastel or watercolour. I love the shape and form of the human figure. I am a retired PE teacher and have watched the figure in dance and athletics over the years. I love capturing the human form in movement. Not for realLandscapes and Still LifeThen, 14 years ago, I started more seriously looking for the right medium for me, and fell in love with watercolour. The way it behaves radomly, and you only get one chance! You loose control but in a delightful and surprising way. 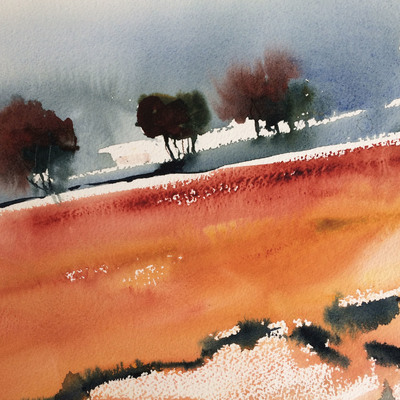 I find the colours simply work, sometimes it takes your breath away… for landscapes, for instance, often inspired by my background, I tend to photograph my surroundings with my eyes, take it home and put it on paper. Then I don't have a lot of details to worry about, and the colours can be what I see not what they really are. Halong Bay VietnamPainting when TravellingI have travelled extensively lately, Vietnam, India, Cuba, Europe and Sweden of course, sometimes with bike sometimes without. 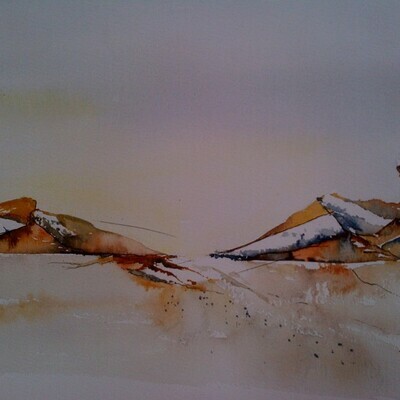 I always take paint, brushes and paper with me, and sell my work to my travel companions to give the money to charity. There is no point in taking paintings from far flung places home with you, they could be a nice memory for people in addition to photos. The Island has a special atmosphere. It makes you slow down - it's therapeutic. It makes me concentrate. I feel it's my home.